Writers can be gifted in so many ways–in the way they create characters that readers are attached to from page one, in the way they pace their stories without a wasted word, in the way their settings come alive, in the way they make readers reimagine the world around them or reexamine old subject matter in a new light, and in so many more capacities. 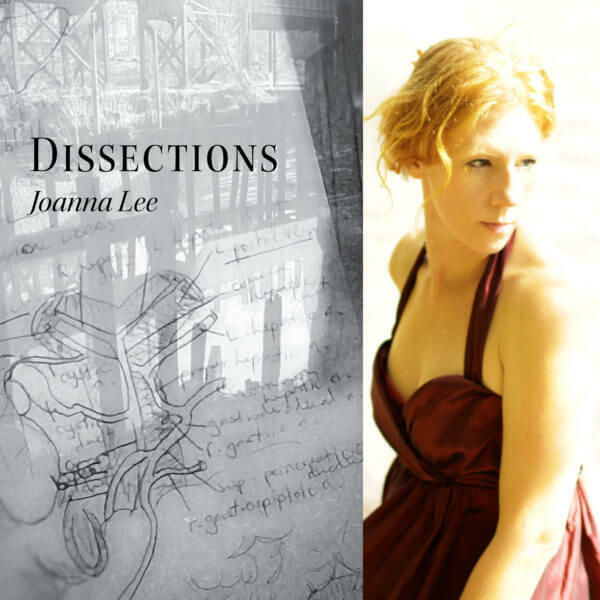 Joanna Lee‘s poetry shows what happens when every single word is chosen with the precision of a scalpel’s slice through skin. She has a gift with language and metaphor; plus, she knows how to throw a book launch like nothing I’ve ever seen before (ask her about it sometime if you get the chance). This is an Authors on Editing interview that I’m incredibly excited to share. Never having formally studied English or creative writing past high school, Joanna Lee instead focused on the sciences, earning her MD from the Medical College of Virginia in 2007 and a further Master’s Degree in Applied Science (neuroscience) from the College of William and Mary in 2010; her writing life focuses particularly on the overlap of creativity and healing. 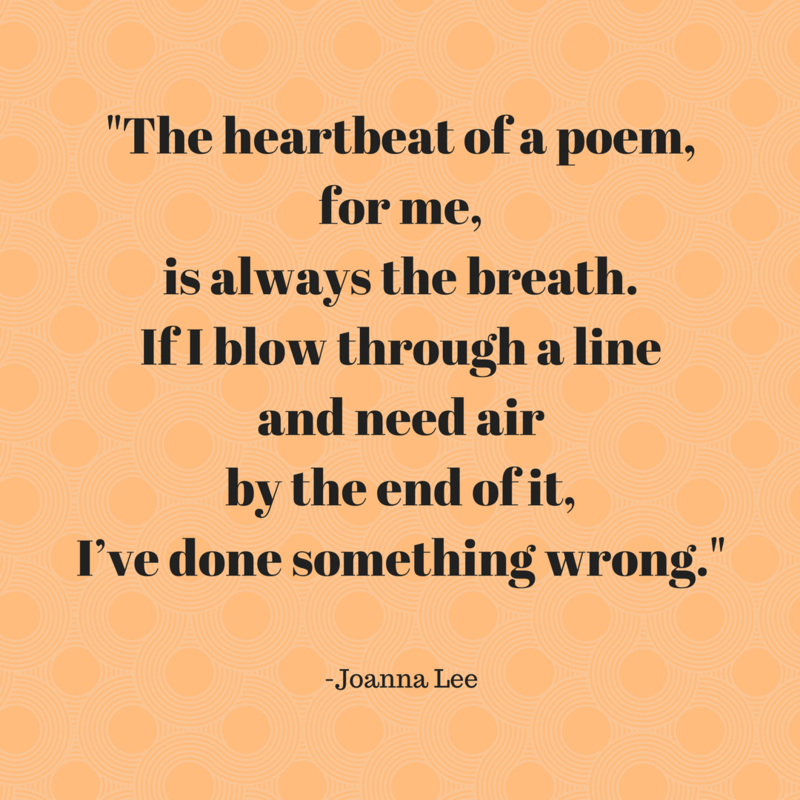 Joanna’s poetry has been published in a number of online and print journals, and has been nominated for both Best of the Net and Pushcart prizes. A leading force behind Richmond’s River City Poets, Joanna teaches workshops and makes possible a wide range of literary happenings from Shockoe Slip to South of the James. 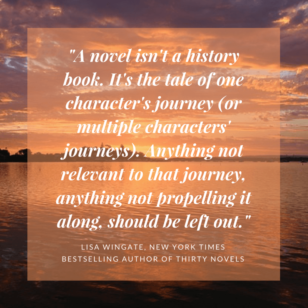 She is currently serving as Board Chair of the James River Writers and lives in Richmond’s Northside with her husband John and their cat Max. Kris: When you are revising a newly drafted poem, what is your process? 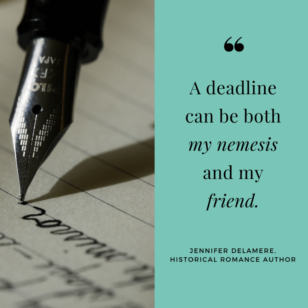 Joanna: The first draft for me is almost always pen & paper; I like the little black moleskins that can slip easily into a purse (but not necessarily a pocket, unfortunately). When I feel there’s enough of the poem down on paper, it goes into a fresh Word document. That’s the first “real” editing I do—moving around verses or images, and maybe seeing for the first time what I was really trying to get at. The poem can change pretty drastically from notebook to laptop, actually; sometimes I find it’s not a whole poem yet at all. 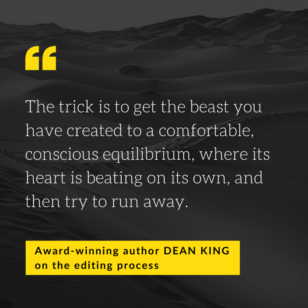 If it is, any further edits I do tend to be relatively minor—more finesse than construction. At the very least, though, I will read the laptop version aloud a few times before any other eyes get to see it; that usually will bring to light rough points I didn’t see while transcribing. Once I’m to the point where I can stand listening to it in my own voice, I’ll bring it to a critique group or two for feedback, to find out where my intention may not shine through as clearly as I’d like. From there, I usually let it sit for a while, until I have in mind where it might belong: if I think it might find a home in a journal or fit in with a theme for a collection, I’ll go back and do further edits with the benefits of a more distanced perspective. Kris: I admire the bravery of poets who present their work in front of audiences. Maybe more writers should do it–not just reading aloud to ourselves but in front of friends and strangers alike. I image this helps a lot with the rhythm of a piece. When editing for rhythm, how can you be sure that you have it right? Joanna: Rhythmically, I’m not sure I ever really have it “right”; outside of a form with a prescribed meter, “right” can mean different things depending on whom you talk to. But a big part of my editing is always auditory. I think reading a draft aloud allows me to edit not only for rhythm, but also for sound. So, going back over it, I can be a little more deliberate: using a series of monosyllabic words, for example, to give weight to a verse & slow it down. Or going heavy on vowel-rich phrases to move it along. But the heartbeat of a poem, for me, is always the breath. If I blow through a line and need air by the end of it, I’ve done something wrong. I kinda believe poems exist to be read aloud, so there has to be a “resting point,” either structurally or punctuational-ly (I think I just made that word up), for every breath’s-length of poem. It’s hard to see those pauses just by looking at a poem on the page—you have to hear it, to speak it. Kris: That’s great advice, and I love “punctuational-ly.” Speaking of words, the vocabulary that you twine through your poetry is so often thought-provoking and exquisite. What is your advice for other writers for finding the perfect fit? Joanna: Grr. I hate it when I can’t find the right word. I am a believer in thesauruses (thesauri?). They can usually get me close enough so I can at least will myself to move on and come back to it later. I don’t really have any great advice; not having the right word has been known to send poems to the graveyard (i.e. perpetual work-in-progress folder). Kris: How true are you to the rules of punctuation within your poetry? Why do they or don’t they matter to you? 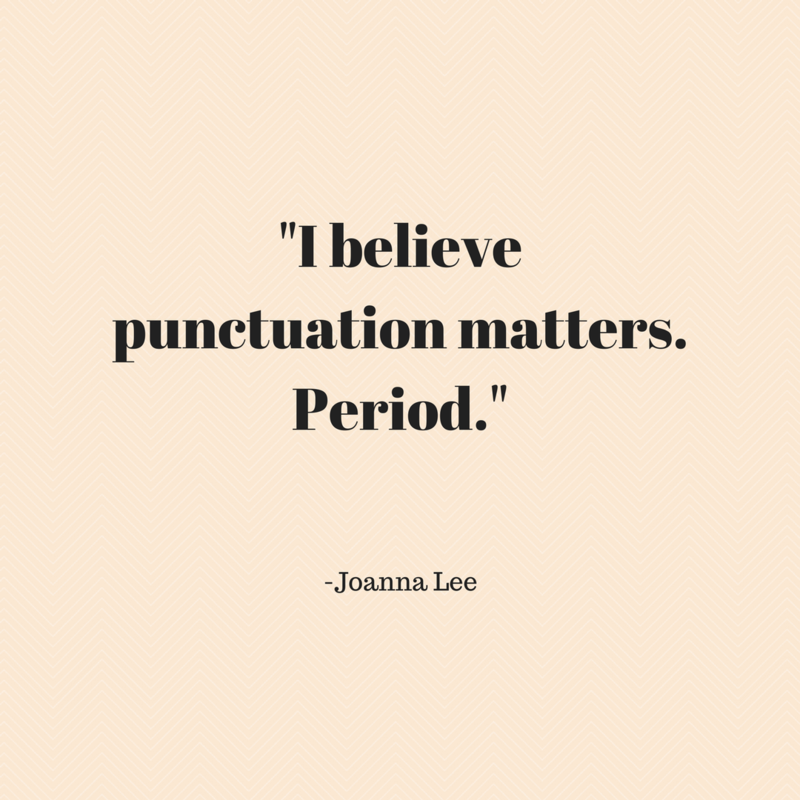 Joanna: I believe punctuation matters. Period. Whether you’re writing poem or prose, you have to follow the rules of usage—or be breaking them intentionally & purposefully. Sometimes a lack of punctuation can add a certain tonal effect or flow, for example, and line breaks and other structural elements can do some of the punctuational (there it is again) duty of creating pauses. But you can’t just leave out all the commas because it’s a poem… and you aren’t really sure where they go. Kris: When playing with imagery, there’s a fine line between poignant and taking something too far. How do you know how much is enough? Joanna: I think it comes back to the poem’s intent, and whether the images bolster or clarify it—or whether they’re just there to make the poet look clever. I find this one of the hardest things to edit, because I really can just let the images run away with me… and they may be beautiful, harsh, powerful… but if they’re gratuitous, or all over the place, they really don’t belong in the poem—it becomes a case of killing your darlings. Kris: A powerful poem evokes emotions and themes rather than explicitly stating a point, which is something I’ve found newer poets something struggle with. How are you sure that you’re never preaching on a point? Kris: Do you let a new draft rest for a while before tackling your revisions or do you dive right in? Joanna: After that first round of edits (from the notebook to the computer, then aloud), which is fairly immediate, yes, I leave it be for a while. Generally. At least overnight, and usually over many nights. Not always, though. Some poems come out more complete than others, and I’ll do a “finessing” right away and send it out into the world. That’s always a dangerous proposition, since a lot of times poems “feel” complete—feel wonderful—right off the bat… and then look not-so-hot the next morning. Kinda like a stranger you might pick up at the bar, I guess: it’s rarely true love. But it does happen. Kris: You’ve mentioned reading your work aloud in front of your critique group. Do you have early readers of your work that you gain feedback from too? Or do you prefer your poetry to have these early listeners? And as a follow-up, how is revision different between these two styles of early audiences? Joanna: I am definitely my own first “early listener,” but in most every critique group of which I’ve been a part, my colleagues are both readers AND listeners: the poet reads their poem aloud while their fellows listen and follow along with a copy in front of them. Which is, I think, the best of both possible worlds. In addition to all the “usual” criticism (format, title, imagery, cohesiveness, message, etc ), it allows feedback on whether the reading aloud (the rhythm, the sounds) fits how the poem reads on the page. Do the line breaks match? Does the punctuation make sense? I think both the hearing and the reading are necessary parts of early critique. Kris: When are you confident that your edits are finished and a piece is done? Joanna: Probably it’s mostly that I get to a point where I feel like I don’t want to/can’t/won’t mess with it anymore—whether I’m completely happy with it or not. But on those rare occasions I am completely happy… it’s a gut thing. I just feel like it’s a good day’s (or week’s or whatever’s) work. And if I’m extremely lucky, it’ll find a place in the world and be published and adored or even change someone’s life. But even then… I may read it slightly differently at an open mic the next month… or I may come back five years from now and totally disagree with my former happy feeling and want to go and make more changes to the piece. At that point, though (published or no), it almost becomes a different poem, with a different intention, even, maybe; or maybe a slightly different author, as I’ll have changed, myself, to some degree. I don’t know that there’s a statute on when one poem ceases to be itself and becomes a separate one, or if anyone stays completely happy with a piece forever. (Heck, Whitman didn’t.) So maybe a poem is never done; that the saying is true: everything’s only a draft until you’re dead. Sometimes, a creative piece is due when there’s a deadline, and sometimes it does continue to evolve, to reshape itself, to redefine itself, to reincarnate itself into a different work entirely. I love ending on this idea. It’s wonderful and intimidating at the same time. But when have we writers been stopped by something slightly intimidating? Thank you so much, Joanna Lee, for sharing your thoughts on your craft, and happy writing, everyone!